From the Taj Mahal to the Koh-i-Noor Diamond, India has been blessed with rich cultural heritage. Unfortunately, like many regions across the globe, its priceless antiquities are under attack from cultural racketeering. 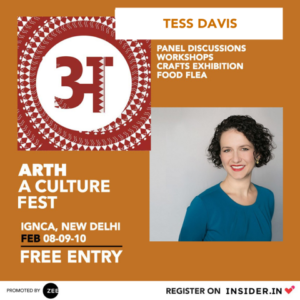 The ARTH Culture Fest, India’s first multiregional culture festival, will be held from February 8 to 10 in New Delhi, India. This festival will not only celebrate India’s vibrant cultural heritage, but will also bring attention to threats posed to this heritage, from colonial looting to terrorist financing. Tess Davis, Executive Director of the Antiquities Coalition, will present at the panel “Bringing Our Gods Home” on February 9. Together with representatives from the U.S. Department of Homeland Security, the Washington Post, and local regional organizations, Davis will discuss the illicit trade of Indian antiquities, the use of stolen Indian artifacts as a means of terrorist financing, and tools to counter looting, such as advocacy and legal procedures. Anuraag Saxena, co-founder of the India Pride Project, will moderate the discussion. To learn more about how looted Indian artifacts fund violent extremism, click here. Register for the festival here.